Venue rental at Estonian Center of Architecture. 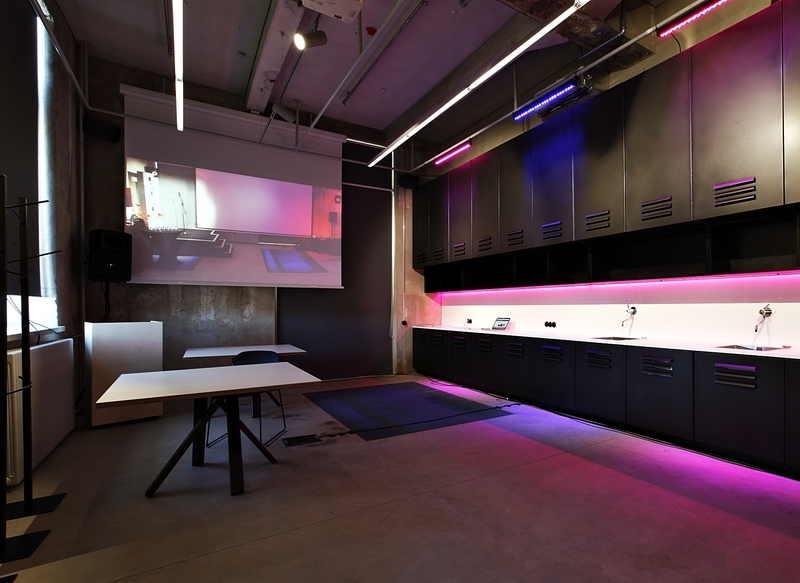 Organise your next event – a seminar, reception, concert, film screening or business meeting at the architecture and design hub Estonian Center of Architecture (ECA) in the centre of Tallinn! We are located in the centre of Tallinn, in the fast developing Kalasadama area by Tallinn waterfront. 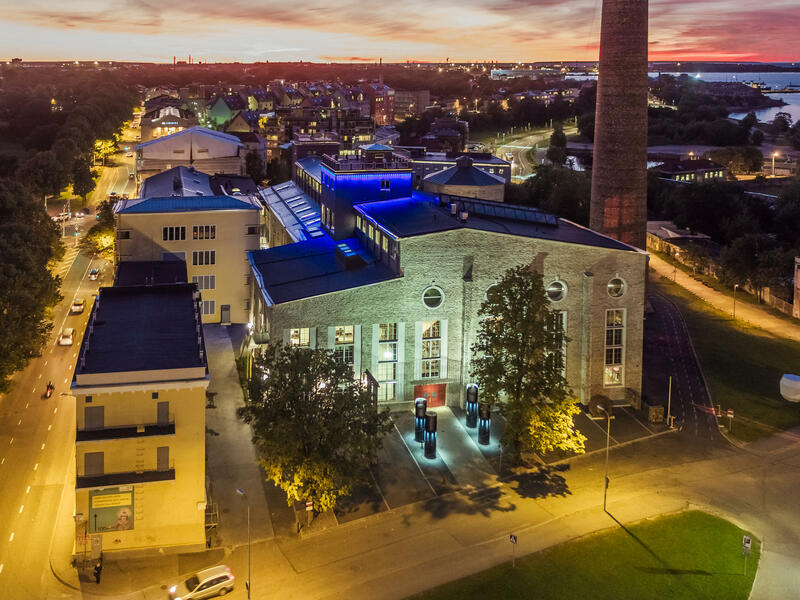 ECA is an architecture and design hub, an inspiring former industrial plant turned contemporary event venue, housing also the offices of Estonian Centre of Architecture, Union of Estonian Architects and Estonian Design Centre. ECA rental spaces consist of two impressive halls which can be used separately or together for a variety of events. Both rooms feature contemporary audio systems, video screening equipment and anything else needed for seminars and business meetings. We also offer catering for either coffee breaks, lunches or even dinner. 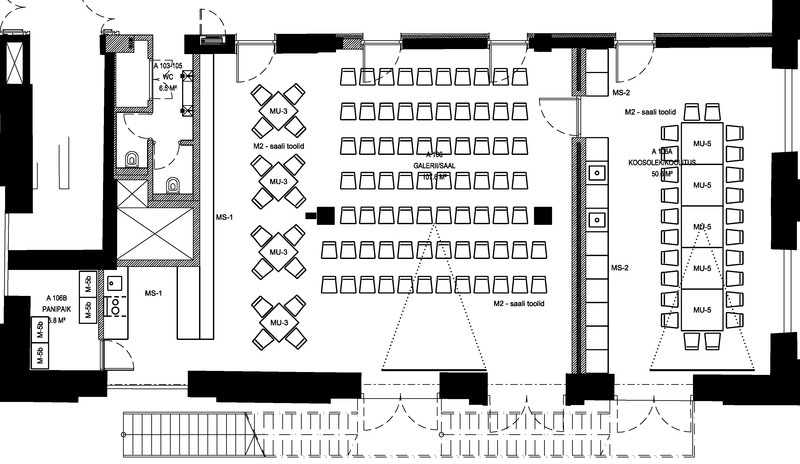 BIG TRAFOROOM (The Gallery Hall) 110m² - holds up to 70-80 people seated in theatre style. When tables are arranged in cafe style (tables need to be additionally rented) up to 30-40 people. With U-shaped table (tables need to be rented additionally) up to 30 people, behind long meeting table (tables need to be rented additionally) up to 24 people. There is a variety of possibilities for rearranging tables for events – ask more information about the alternatives! If needed, there is also a bar and kitchen area that can be used. SMALL TRAFOROOM (The adjoining Seminar Hall) 50m² - seats up to 25 people in theatre style, behind a meeting table up to 24. As the Gallery Hall and Seminar Hall are adjoined, the Seminar Hall can be used as a cloakroom, for serving meals or for other complementary purposes during larger events. 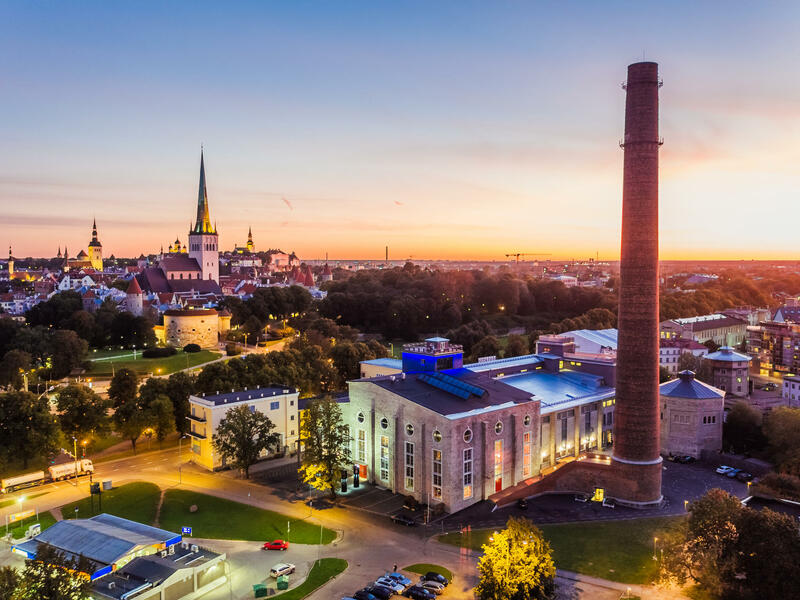 ECA is located in Tallinn, Põhja pst 27a – just a few minutes from Tallinn old town. There’s plenty of parking space in the vicinity, and some of Tallinn’s best cafes and restaurants within walking distance. 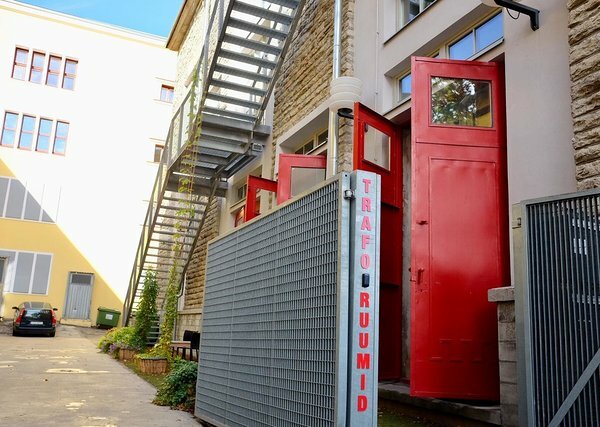 We’re just on the edge of Tallinn old town, with easy access on foot, by bike, public transport (stop Linnahall; bus nr 3, trams nr 1 and 2) or car; there is plenty of parking space next to the venue. ECA offers a unique combination of completely contemporary venue in an historical industrial setting, making it a far more interesting venue than most of the spaces of the same size available in Tallinn. Both halls of ECA are equipped with contemporary video, lighting and audio systems. 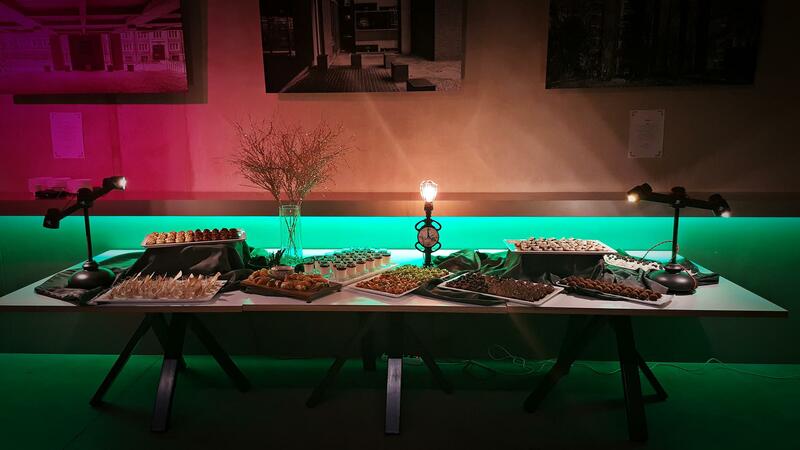 We also provide catering service, coffee breaks and a cafe/bar for evening events. However, if you wish to dine out, there are one of the best cafes and restaurants in Tallinn nearby. TRAFOROOMS in 3D are available here! * Prices in the chart does not include VAT.